If you are feeling fatigued, craving sugar, needing to lose those last few holiday pounds or just looking to get a Fresh Start with your diet, this 12-Day Program is for you! 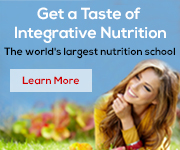 The Program is designed to gently transition you towards healthier eating while you experience increased energy, improved skin tone, more restful sleep, improved digestion, and mental clarity. You’ll learn healthier choices for not only your diet but for your overall well-being. As a Certified Holistic Health Coach, I have learned about restructuring my own diet and repositioning my primary foods, which include career, exercise and relationships, in order to live a more balanced and fulfilling life. I will take you step-by-step through this 21-day program which will make a huge difference in your life as well! This program will be delivered to you through daily e-mails in which you can complete all the activities in the comfort of your home. How to treat your body to a gentle detox given your dietary preferences, this Fresh Start program is for you even if you are vegan or vegetarian or have food allergy to dairy or wheat. About supplementation, including daily suggestions, additional supplements are optional. About recipes that are easy to adapt to your personal diet style. How we feel affects our food choices and overall happiness. Upon enrollment you’ll receive your pre-detox guide to help you set goals and get clear on what you’d like to accomplish over the course of the detox. From the first day, you’ll start receiving e-mails, handouts, action items, recipes, and tips for a successful Fresh Start. e-mails filled with healthy content (described above) in your e-mail including handouts and worksheets. Virtual pre-detox Guide and meal planner that you’re able to duplicate and use whenever you need. Daily action items easily implemented for busy lifestyles. Delivered right to you, tax and shipping included in Fresh Start price. The first five days will be a “prep” week to help you ease into the program and set your intentions for your fresh start! During the second week you will learn how to use the oils to support your fresh start, gain insight on healthful eating, and learn more about supporting primary foods. At the end we pull everything together, as you become accustomed to maintaining a healthy life. The typical time commitment for the program is 10-45 minutes/day reading handouts and completing daily activities. All information can be read at your own pace, the program is very flexible and will fit within your daily life. if you fall behind you can always go through it when you are ready, just keep the information and refer back to it when you can. Fuel your energy needs with food, reduce cravings and hunger, ease emotional stress, feel supported, find comfort in your own body! This program is NOT focused on weight loss however, you will lose weight by creating a healthier diet and environment for yourself and depending on individual size and frame. You will not feel hungry and you will be able to manage your cravings. Refunds are not offered for this program as it can be downloaded and viewed. e-mail Lisa at lisa@lisaslentils.com to get started!